Something for the aviation and history fans on Oppo. And any fellow Phantom Phanatics. The QF-4E above (sn: 72-166) flew the last unmanned FSAT (full scale aerial target) mission on August 17, 2016. It was in support of an exercise for the F-35 program. The missiles, which were inert and rely on a proximity fuse rather than direct contact “hit” the target. 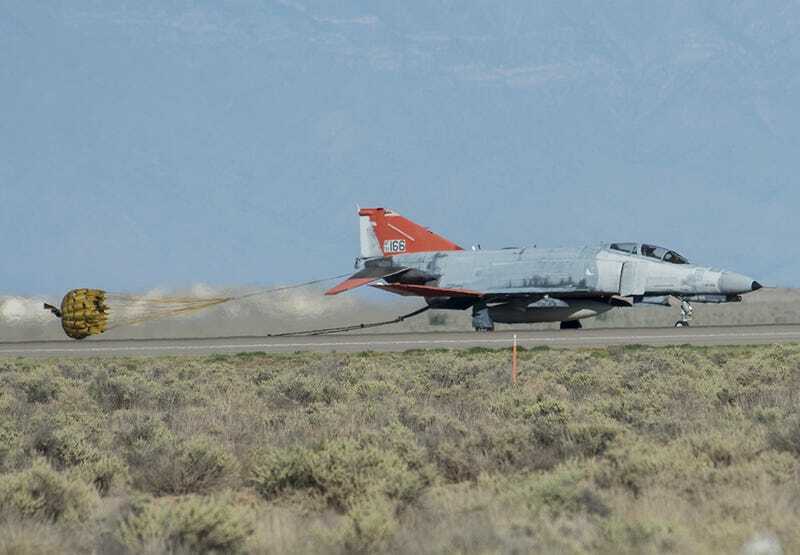 Mission complete, the aircraft came home, made an arrested landing and with engine shutdown, ended yet another chapter in the McDonnell Douglas F-4 Phantom II’s long, illustrious history. Detachment 1, 82nd Aerial Target Squadron will continue to operate the QF-4E into December, when they will convert to the QF-16. The F-4 first flew in 1958 and entered service with the Air Force in 1963. Serving in Vietnam and during Operation Desert Storm, the F-4 was retired from combat use by the Air Force in 1996, when it began use as a target drone. So, being the Phantom Phanatic and aviation nerd that I am, I went and tried to look up more history on 72-166. It’s an F-4E-53MC, one of only four that was operated by the US, with the rest of the variant going to Iran or Israel. In 1985 it was stationed in Germany assigned to the 81st Tactical Fighter Squadron. I hope that she along with the surviving QF-4Es will make their way to museums.